If you are tired of my seascapes you are soon in for a treat – I have a few images from Bristol I want to show by not now. 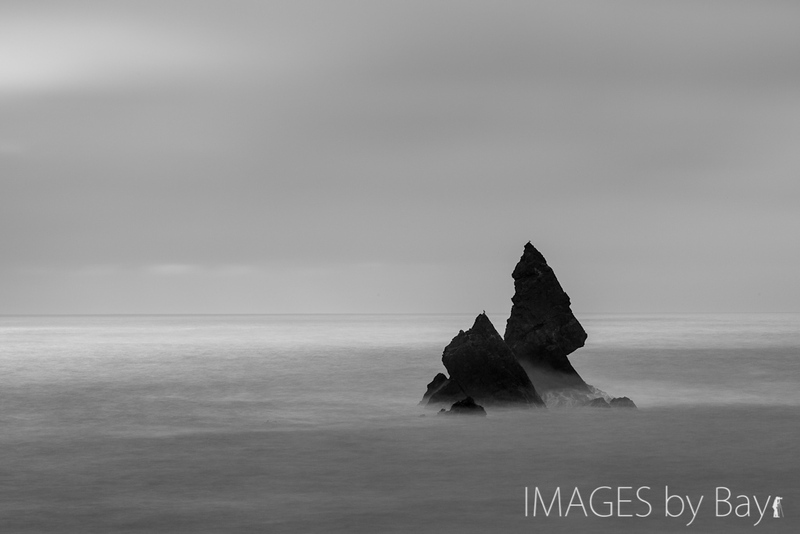 Now I have one of the last images from Wales to show you: Spiky Rocks in Wales! I wanted to focus on the interesting rock formations pointing out of the sea so I grabbed the big Canon 70-200mm f/2.8 IS zoom lens and mounted it on the Canon 5D Mark II. The 200mm I got close enough to get a nice view of the rocks and get them into focus – a few steps down the sandy hill and I was a good viewpoint to include the sky in the image. I’ve made the image black & white to make it very calm for the eyes. Enjoy and share a usual.